The best thing about Picture Books is —- the Pictures!! I love art and admire folks who can turn some brush strokes into something inspirational. Walker and I paint a bit. To entertain and, I suppose, inspire somewhat. 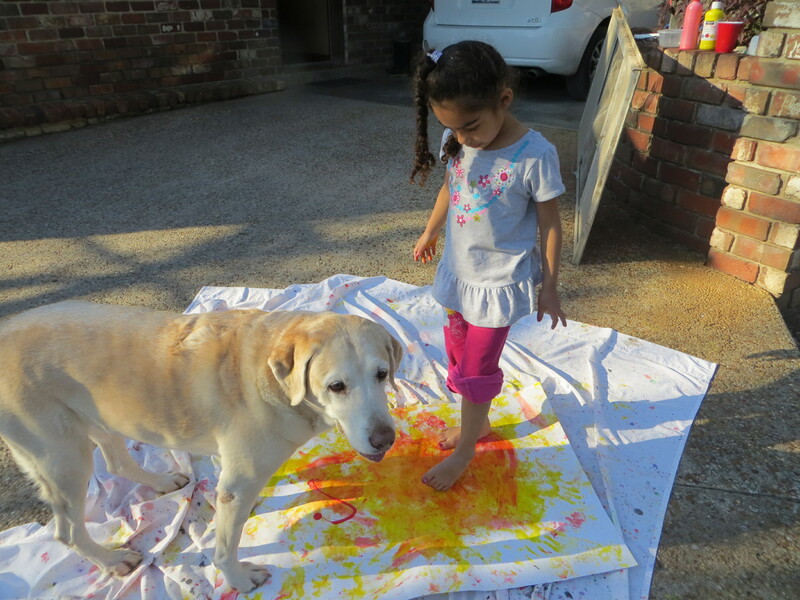 Walker paints with his tail and we both do some pretty awesome pawpainting. But lately I’ve been hearing a lot about a young man who is an incredible artist — and he’s blind. Yes, blind. He can not SEE what he paints. At least not in the same way that we see. Also, he’s from Texas – so he’s doubly blessed! I just want to share his story with you — You will be amazed and inspired. And grateful that there are people in the world like John Bramblitt. Mr Bramblitt has a website HERE that you might want to check out to see more of his work. And that’s all for today. I think it’s enough. This entry was posted in art, reading dogs and tagged art, blindness, John Bramblitt, painting dogs by readingwithrhythm. Bookmark the permalink. 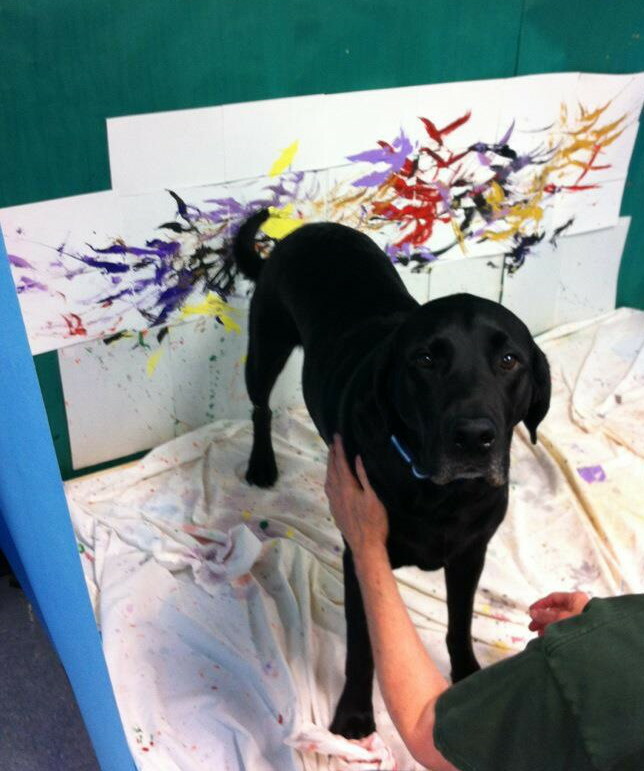 I love those paintings that Walker (and his human friends) are creating! I’d love to see more too, Have a wonderful day and thank you for this uplifting blog! This is extraordinary! What an inspirational man and amazing artist! Thanks so much for posting this! You’re welcome Ms Trapani. Extraordinary is the word. Wow! That artist is amazing. 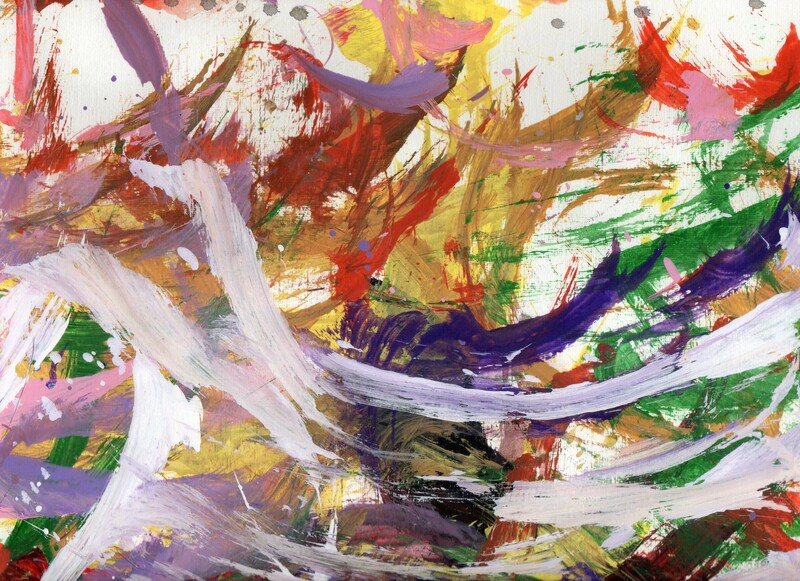 I’m going to share it on my art blog… I think those painting tails and paws are pretty awesome too! Blind painter! That is blowing my mind! 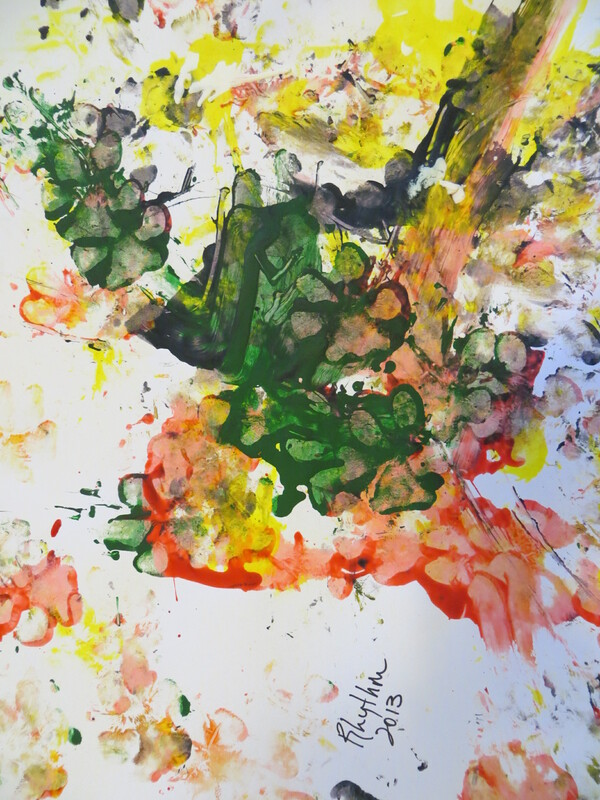 So are you and Walker, tail and paw painting! Whaaaaat??? Mind blowing indeed! Whew! Yes, me and Walker get to dip into the paint now and then. Walker has a tail that just won’t quit, so the Mom Person puts it to work. What an inspirational story. Loved the video. It’s amazing how different parts of our brains take over. He certainly is a teacher to many people. And, I liked the tail painting. As Cupcake said, it really is mind blowing. I spend quite a bit of time with visually impaired folks and am constantly amazed at their ability to adapt and overcome. Humans are a source of constant intrigue for me. Walker says thanks for liking his artwork. This is such a wonderful story – thank you so much for sharing it! I love the idea of living brushstroke to brushstroke as well, the idea that painting allows us to be in the moment. I completely agree. 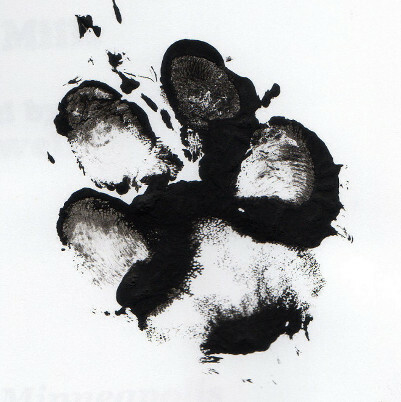 Wonderful pawpaintings too! Thanks Ms Letizia! It is a lovely story. An amazing young man. Thanks Erik! Mr Bramblitt is surely an impressive young man.